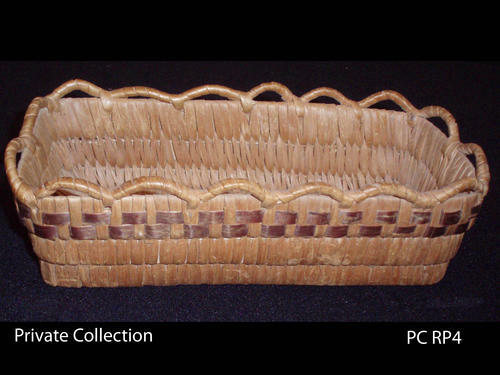 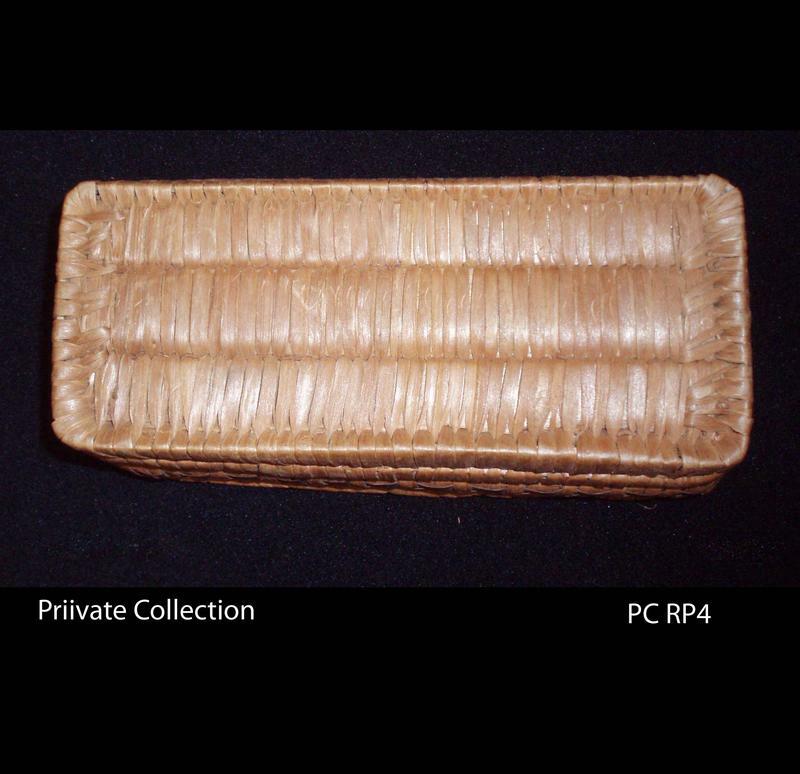 This 'comb' basket was a gift to Jeannie's niece. 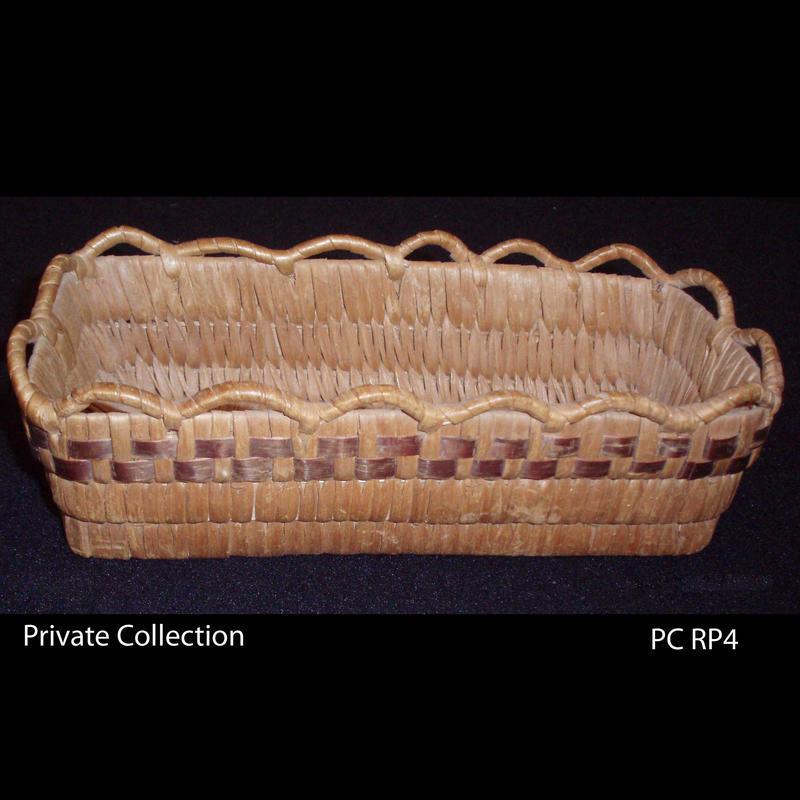 A small, open slat coiled basket with loopwork rim and beaded checkerwork design along the top wall slat. 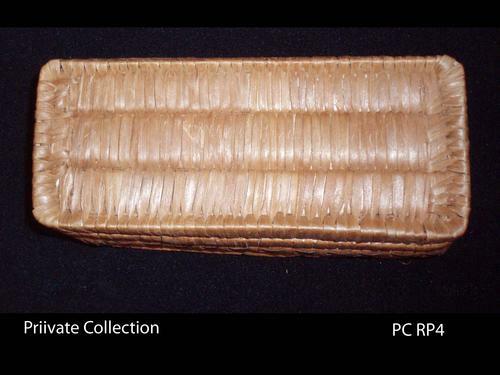 Materials: split cedar slats, cedar root, bitter cherry bark in its natural, polished red colour.